The absolute connectivity of the global automotive market is never more obvious than when you see a vehicle that’s been released in other parts of the world that will eventually be the basis for the models we enjoy in the US. Such is the case for the new Holden Commodore and the Opel Insignia Grand Sport which are mostly the same cars and will become the 2018 version of the Buick Regal. While we’ve had stories of what the Regal might be, we still haven’t actually received all the details, but we can look to these two models and learn quite a bit. When you take a look at the Holden and Opel models, one feature stands out right away; they’re built with a fastback look to them. This is not expected to carry forward to the Buick model which will be given a more conventional notchback style that we expect on sedans in the US. In addition to this difference, the Buick Regal is expected to carry a wagon variation that will help bring back the wagon that we loved for many years in the past. Other than these changes, the Regal will be extremely similar to these two cars. One reason it will be similar is the platform it’s going to be built on. The new Buick Regal will share the E2XX platform that was first introduced with the 2016 Chevrolet Malibu. This platform made it possible for the Opel team to take out 385 pounds from the Insignia Grand Sport while still making the car wider and longer than the previous model. This also gave these engineers the chance to lower the car into a sportier position for the increased engagement of the ride that’s enjoyed by those who make the new Opel Insignia the car they want to drive. The drive system will be a FWD system that will also offer optional AWD to be enjoyed by those who choose it. There is also a new chassis system which is called FlexRide which integrates the adjustment of the suspension dampers, steering and throttle to give an improved ride quality. This will allow you to switch between Standard, Tour and Sport modes and have a sport mode that can learn the way you drive and mimic it so that you can have the best use of the power and performance of the car on the road. For the Opel Insignia Grand Sport there is a series of four-cylinder engines being offered that include at least one diesel engine. There is expected to be a turbocharged V6 offered in the future but it could be reserved for the high performance model, called the OPC for Opel. In the previous OPC version of the car there was a 2.8-liter twin turbocharged V6 engine offered that could make 325 horsepower and 321 lb.-ft. of torque while using a six-speed manual transmission. A similar powertrain could be used in this newer Opel model when the performance version is offered. 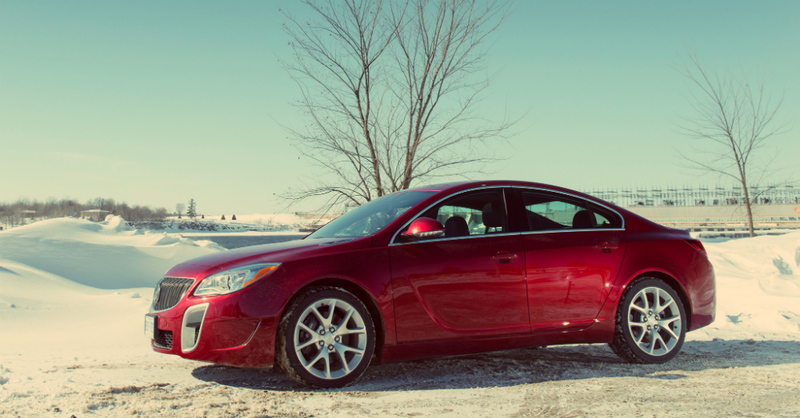 How does this affect the new Buick Regal? The Regal may be offered with the diesel, if Buick can create an engine that will conform to US emissions. The inclusion of a higher powered V6 engine is exciting, especially since this new Buick should use the new nine-speed automatic transmission. With this lighter build and impressive looks, the new Buick Regal is something we can admire and look forward to for the near future. Hopefully the wagon version will be a success right away as well, to give us a wagon that we can easily be impressed with and enjoy on the road. Can You Speed Below the Limit? Highly motivated, truly dedicated, creative and innovative content writer with experience in a wide variety of fields and life experiences to offer dynamic stories to blogs around the country.